Lue Hotel Looks over rarely used railway track to Lue Railway Station. 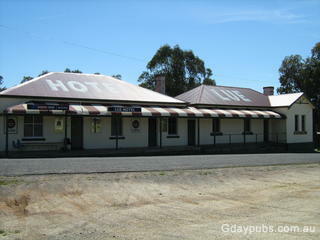 A classic quite country town Pub known for its hospitality. A High Country Pub style building. Small town located 28 km South East of Mudgee in the Central Tablelands. The village was moved to accommodate the rail line. With the move the town was renamed Lue in 1884.